Should We Have Haemostatic dressings and tourniquets in Our First Aid Kits? 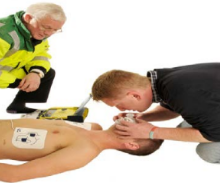 As mentioned earlier, The European Resuscitation Council recently reviewed some of the of first aid protocols. It is now suggested that there is a need under certain circumstances to include haemostatic dressings and tourniquets in first aid kits. The HSE (Health & Safety Executive) however, have stated that haemostatic dressings and tourniquets should only to be included in the first aid kit if the First Aid Needs Assessment indicates that they may be necessary. They suggest that they are only essential in particularly high risk industries, such as forestry, tree surgeons, agriculture, construction, manufacturing where there is a risk of traumatic injury. So, even a slaughter house or indeed a butcher, blacksmith, saw mill could be considered high risk. And a lot more than those listed here. 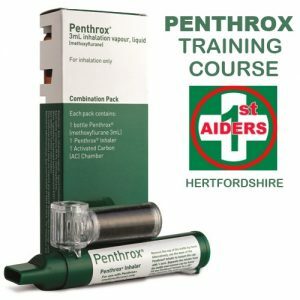 If the business isn’t high risk, it doesn’t mean you cannot have haemostatic dressings and tourniquets in the first aid kit, you can if you wish but if you do have them you must ensure that workplace first aiders are trained in when and how to apply a tourniquet/haemostatic dressing. They must be competent in the correct technique when applying them. Tourniquets should really not be included in ‘everyday’ first aid kits because an incorrectly applied tourniquet can worsen the injury.